The sins of memories past? There is an interesting piece from the Dublin Review of Books entitled: Troubles with Remembering; or, The Seven Sins of Memory Studies. 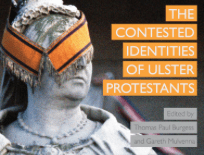 The piece is actually a review on: Remembering the Troubles: Contesting the Recent Past in Northern Ireland, by Jim Smyth (ed), University of Notre Dame Press, 218 pp, $40, ISBN 978-0268-101749. The past of course is entirely memory, albeit in the context of events that are fact. The review quickly becomes a wider exploration of the nature of memory, and in particular “Memory Studies”, and more particularly the seven deadly sins thereof: laxity, dualism, crudity, moralism, insularity, myopia, and overlooking forgetting.